There are 7 posts in this thread, and it has been viewed 4038 times. Faselei!. What do you think of it? This week we're discussing a tactical RPG considered by many as one of the finest Neo Geo Pocket title ever released. 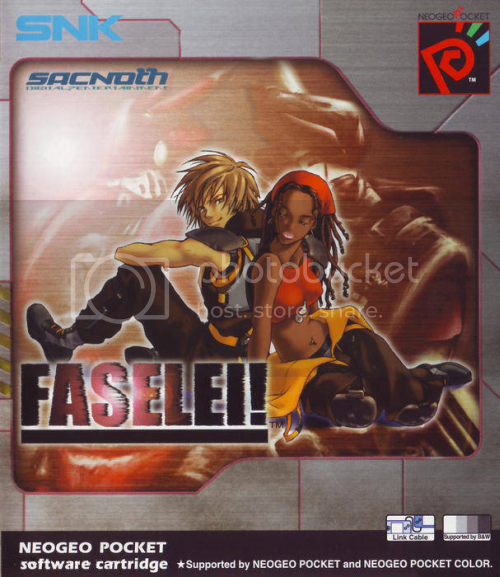 Consisting of former members of Squaresoft, Sacnoth finished Faselei! in late 1999, not long before the original SNK corporation closed its gates and discontinued the production of further Neo Geo Pocket games. In Faselei! the player takes control of the protagonist Sho Kurosawa, a young orphan who joined a mercenary group to fight against an evil regime. 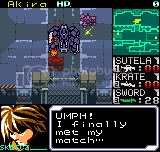 In this far future wars are carried on by battle mechas, so called TS. 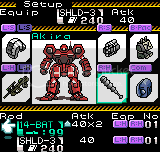 During the game these battle mechas can be upgraded and modified, in accordance with good old RPG tradition. During all these years Faselei! 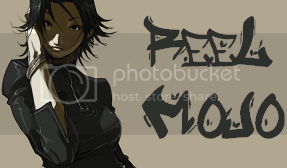 made itself a name with its epic storyline, characters and combat system. It also ranks among the technologically most advanced Neo Geo Pocket games, including a title song with real vocals and detailed cut scenes. Faselei! 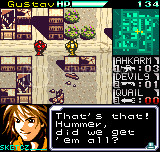 is one of the last titles to be released for the Neo Geo Pocket Color and even features digitised lyrics to the game's main theme. 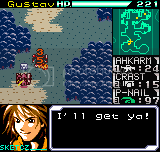 Heavily story driven, this strategy RPG takes place in a time when mechs known as TS are the weapon of choice for combat. Gameplay revolves around the battles and customising your TS between those battles. Battles are part turn based and part realtime. 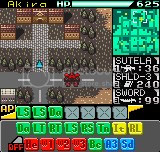 The player inputs their actions at the beginning of the turn. The amount of actions they can input is dependant on their type of TS. Once they have finished their selection everything is played out in realtime for the duration of the turn. This makes thinking about what your opponents and allies will do in advance essential before taking your turn. I just bought a NGPC and this is one of my most wanted games for it. Then you go and make it GOTW. What are you doing to my wallet!? Anybody know first hand, or heard, how hard this game is? I'd like to buy it for my nephew but I want to be sure he doesn't get stone walled. He's 7 and is semi-determined when it comes to difficulties gaming presents. Never played it, but it seems like the type of game I'd enjoy. I really need to buy this one. 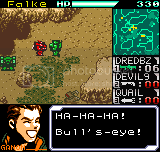 Face-lay-eye... As big of a NGPC that I am, I've never played it. I guess I'm saving it for a rainy day. I would imagine Faselei requires enough critical thinking that it would suggest an adult state of mind. Although it's an RPG, I believe Evolution (based on a boy and his treasure hunting adventures) might be a better choice for your nephew, 2-D? I have the game and I still love it. With Advance Wars it's one of my favorite mobile strategy games of all time. Life 2D, I wouldn't recommend it for your nephew. The difficulty can really peak sometimes and I don't think it's worth the money if he gets frustrated with it. I'm glad I bought the (PAL) version of the game at the release, I understand it's worth quite some money nowadays. Thanks for the advice, Tobal and Sensi. I will take a look at" Evolution", Tobal.